Our Wound Core Lab is also under the direction of a dedicated Medical Director and Vascular Internist, Dr. Aman Khurana. 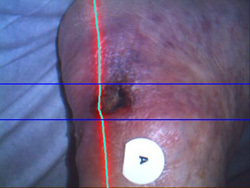 The staff in the Wound Core Lab has been specially trained and educated on wound morphology, classification and healing. 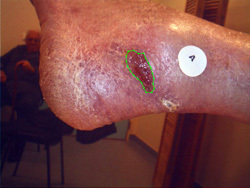 To aid in wound assessments, the core lab utilizes a wound image capturing device that employs a structured lighting system. 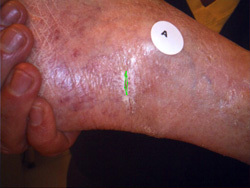 This innovative device allows for a precise measurement of wound borders; thereby generating accurate, reproducible area and depth measurements. 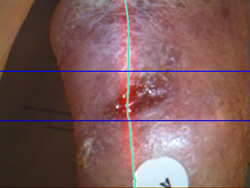 The Wound Core Lab staff is notably versed in the use of the wound image capture device, and can provide hands-on training to ensure that investigative sites experience its ease of use. This translates into superior outcomes data during the course of each trial. The SynvaCor Wound Core Lab staff is determined that its partner’s needs are met. 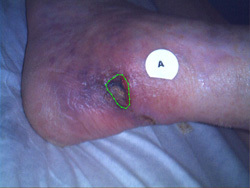 We recognize the critical nature of these findings, as well as the potential impact on treatment strategies for wound healing, both now and in the future.